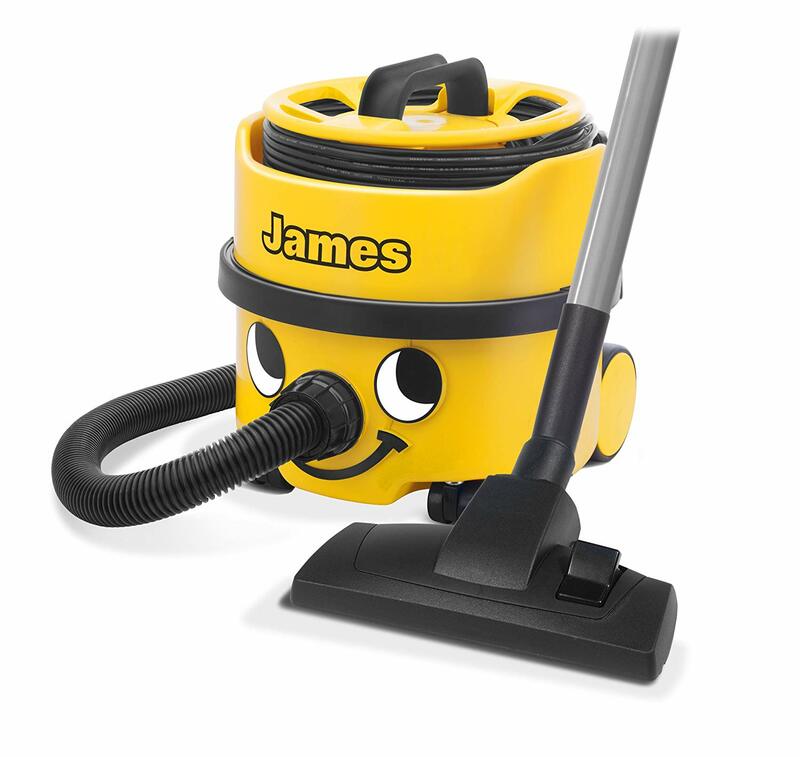 Everyone has heard of Henry the Hoover, the Numatic vacuum made famous by his red colour and smiling face. But did you know Henry has a female companion called Hetty? Just like Henry, Hetty Hoover also has a cheerful face, but she is pink in colour and also comes with a set of eyelashes so that she really stands out. What other differences are there between Hetty and Henry? Our Hetty Hoover review aims to answer that question and help you decide if purchasing a Hetty hoover would be a good decision. Hetty Hoover is the female equivalent of the well-known Henry Hoover. Not everyone knows this, but other than appearance there is actually no difference between Henry and Hetty. They are exactly the same vacuum and perform to the same standard. Hetty has her name printed on the top and comes complete with her own pretty eyelashes. She is also pink in colour, whereas Henry comes in traditional red. 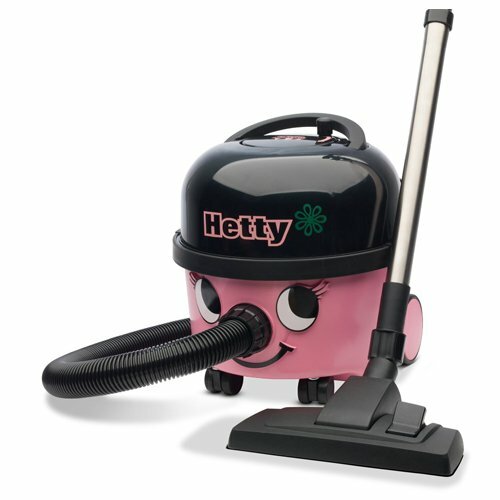 Like all vacuums in the Henry hoover range, Hetty has a big smile which can be customised if you wish. At 8 kg, it’s fair to say Hetty isn’t the lightest of vacuum cleaners. Like Henry, she’s a fairly bulky hoover, but does come with a neat carry handle which means you can pick her up and move her around fairly easily. Moving Hetty around as you vacuum doesn’t feel difficult, but the two large fixed wheels means she’s not as maneuverable as some cylinder vacuums. 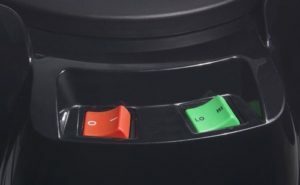 Unlike a lot of cylinder vacuums, Hetty has a manual cord rewind rather than an automatic cord rewind. The manual rewind is easy to use and quick, and you’ll be thankful Hetty comes with some sort of cord rewind, as she has a very long 10 meter cable. This is great as it means you can clean a whole floor of your house without having to unplug Hetty and plug-in somewhere else. Older versions of Hetty came with a green switch for controlling suc tion, giving you the option of either high or low power. But due to restrictions on the motor power of vacuum cleaners first introduced by the EU in 2014, Numatic heavily reduced the motor power that Hetty has from 1200 watts to 620 watts. This has resulted in the newer versions of Hetty no longer having a suction control switch. Instead there is just a simple on off switch. Whilst a reduction of almost half of the motor power in seems large, there has been no weakness in Hetty’s performance. If anything, she seems even more powerful now thanks to changes made by Numatic to improve the machine’s efficiency. Hetty has a useful parking bracket which allows you to park the vacuum when pausing your hoovering. There’s the provision to store one cleaning tool, so whichever tool you like the most you can pop on the back of Hetty for ease of use. Hetty comes with a standard filter which tends to get the job done. There is the option to upgrade the filter which may help filter out more fine particles, but the standard filter itself is not bad at all. Hetty comes fitted with a dust bag as do all Numatic vacuums. The bags are huge on these machines and they’re the HEPA Flo bags which are far more durable than the old fashioned paper bags that they used to have. You shouldn’t need to replace the dust bags very often because of their size, but when you do it is highly recommended to pick up the newer HEPA Flo bags. Hetty comes with a very long, strong crush-proof hose to reach all around your home. She also comes with two strong metal extension tubes and a curved metal hand piece with a suction regulator. For cleaning your carpets and hard floors you get a combination nozzle, which glides easily across surfaces. There are two litter pickers either side of the suction inlet and when you want to clean hard surfaces, there’s a pedal which lowers the brush so you can clean hard floors and laminates. Hetty comes with a number of additional accessories that help her clean your home. 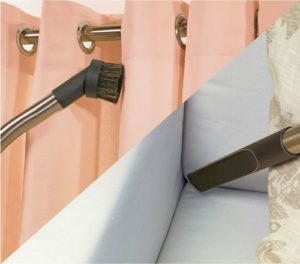 There is a soft dusting brush that’s ideal for cleaning blinds, shelving and curtain rails. It has a natural bristle brush which can be used on the more delicate items. There is also a crevice tool that cleans those hard to reach places such as down the sides of the sofa. Hetty comes with a general purpose tool that can be used on many things, such as the stairs, upholstery, curtains and car seats. She also has another – stiffer – brush that can be used instead of the dusting brush. This is useful when cleaning places like the stairs or in your car where it may be more tricky to release dirt. It’s not recommended to use the stiffer brush on delicate items though. It’s easy to switch between brushes, you simply slide them on and off. Hetty also comes with a useful handle attachment, meaning you can attach the tools you need when cleaning and access them nice and easily. Some Hetty models come with an extra extension hose, which enable you to take the suction point right to the top of the stairs with Hetty sat at the bottom. Even if you don’t get the extra extension hose, Hetty already has a very long hose that is longer than most cylinder vacuums. Of course Hetty also comes with a bag fitted,, and you should find three spare bags in the box too. What is the length of the warranty with Hetty Hoover? Is Hetty a more compact version of Henry? No, Hetty and Henry are exactly the same size and exactly the same vacuum, apart from differences in their appearance. Does Hetty come with a dust bag? How long is the hose on Hetty? Does Hetty have a suction switch? Older versions of Hetty come with a suction switch to control power, but newer versions just have an on off switch with one suction setting. If you’re looking for a quiet, reliable vacuum with strong suction – and perhaps a feminine appearance to add – then Hetty the Hoover may well be your girl. Hetty’s long 10m cord means she can clean a large area without being unplugged, and despite a reduction in motor power in newer models, her performance at cleaning carpets and hard floors shows no signs of slowing down. Whilst she isn’t the lightest vacuum and therefore not the best for hoovering stairs, her large bag capacity means you won’t need to change her bags very often at all. With Hetty’s current price being cheaper than many cylinder vacuums, you could certainly do a lot worse when choosing your next hoover.